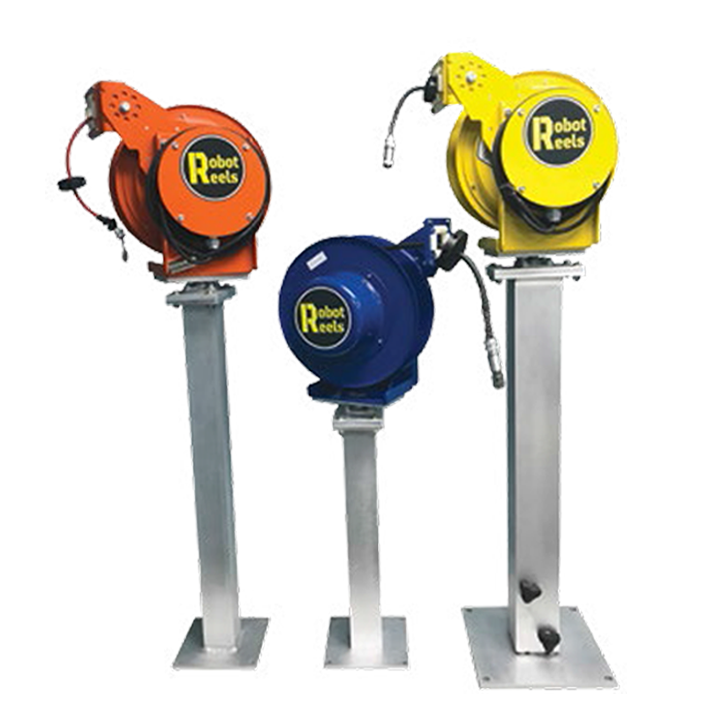 Robot-Reels® patented retractable teach pendant reels keep your teach pendant cables organized and off the floor. 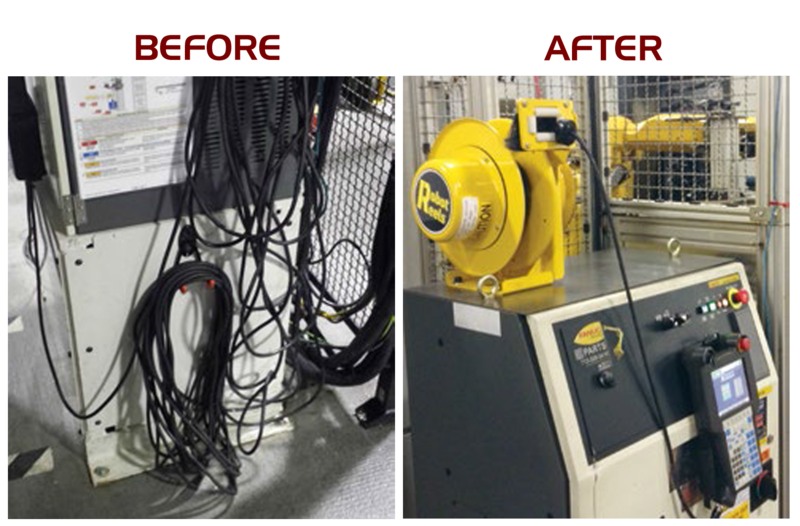 Extend the life of your teach pendant by eliminating tripping hazards and reducing down time. No more running over and ruining teach pendant cables with a fork lift! 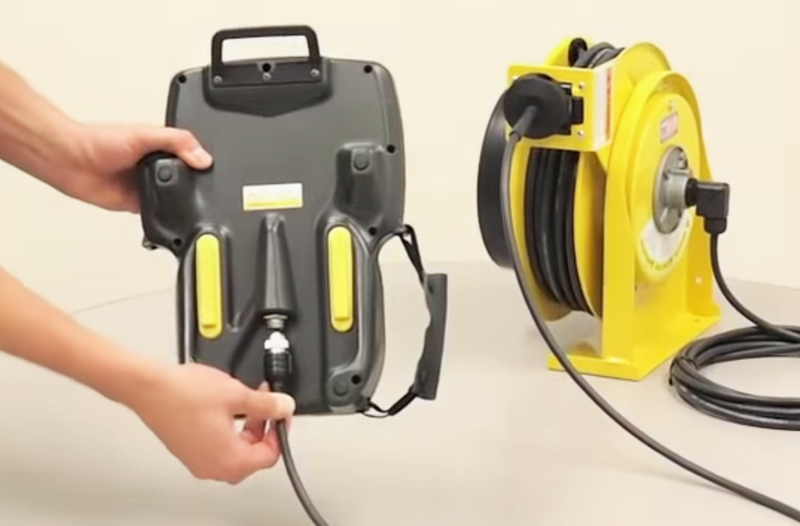 Quick disconnect design allows for quick installation and cables changes. The toughest reel on the market made with industrial grade steel.